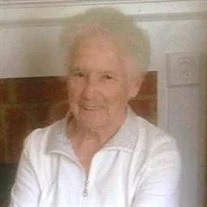 Betty June Horton Sparks, 85, of Ringgold, passed away Tuesday, December 4, 2018 at her residence. A lifelong resident of the Chattanooga and Ringgold areas, she was a former employee of the Catoosa County Board School System, where she worked at Heritage Middle School, and was of the Baptist faith. A loving mother and homemaker, Betty was a remarkable cook and enjoyed preparing meals for her family and friends, most especially over the holidays. She is preceded in death by her parents, John Sullivan and Gracie Mae Horton; husband, John Wesley Sparks; brothers, Earl, Leroy and J. W. Horton; son, Rickey Cope Sr.; step-daughter, Orlean Shaw; great-grandson, Gabriel Dickerson; and son-in-law, James "Jr" Kilgore. She is survived by her children, Donna (Mike) Farmer, of Ringgold, Debbie (Jimmy) Dickerson, of Lavonia, Ga., Johnny Young, of Ringgold, Gail Kilgore, of Rossville and Johnny Cope Sr., of Ringgold; stepson, John (Cindy) Sparks, of Ringgold; two brothers, Bill (Juanita) Horton, of Ringgold and Alvin (Kathy) Horto,n of Chattanooga; sister, Carol Pike, of Las Vegas, Nv. ; three sisters-in-law, Jean Horton, of Riverside, Ca., Betty Horton, of East Ridge and Connie Blevins, of Cleveland; grandchildren, Drs. Robb (Lora) Hutcherson, Josh Hutcherson, Jimmy Dickerson, Jr. , Michelle Kilgore, Bo (Amy) Cope, Kristy (Rick) Norris, Dawn (Robert) Green, Belinda (Bronnie) Allen, Dewayne Brown, JJ Cope, Tiffany Cope, Jeremy (Elisha) Sparks, Tim (Terre) Sparks, Wesley Sparks, Jessica (Shane) Roberts and Stephanie (Daniel) Walker and Tony Shaw; great-grandchildren, John Robert Hutcherson, Rhett Hutcherson, Kaylee Dickerson, Landon Dickerson, Leanna Dickerson, Abel Dickerson, Tyler Norris, Macey Cope, Caden Norris, Bodey Cope, Jacob Allen, Avery Allen, Peyton Sparks, Braylee Sparks, Megan James, Briana Wambolt, Damian Wambolt, Sarahann Sparks, Easton Sparks, Kyler Sparks, Emerson Hughes, Jesse Michael Hughes, Jaxon Hughes, Briley Walker, Presley Rose Walker and Malachi Walker; dearest best friend, Kae Betty; and several nieces and nephews. Funeral services will be held at noon on Thursday, Dec. 6 in the funeral home chapel, with Bro. James Helton officiating. Interment will follow at Lakewood Memory Gardens-East. The family will receive friends from 4-8 p.m. on Wednesday and 9 a.m. until funeral time on Thursday at the funeral home.